Pravana has been one of the top contenders in the professional hair care market. 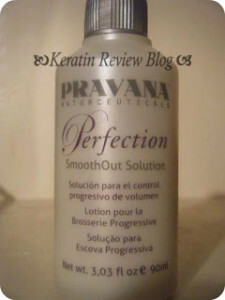 I was really excited that they had come out with a hair smoothing system called Perfection Smooth out. It was formaldehyde free and claimed to “virtually alters the internal textural memory of the hair fiber to transform it to a smoother, frizz-free state.” That “virtually alters” claim made me raise my eye brow a quite a bit so I did a little research on it before I decided to try it out. 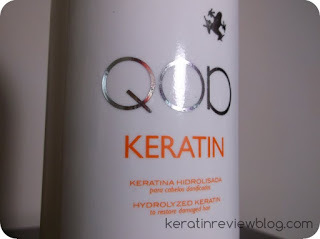 I could barely find reviews on it but the few I did said that it was better than the highly popular Brazilian Blowout. 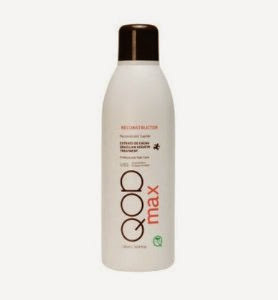 They also reported that it made their hair permanently straight after several applications. For these reviewers this was a highly desirable result. I thought that since my hair was way curlier it would have a less pronounced effect. Unfortunately, I was wrong. The formula itself was pretty liquidy, more so than others I have tried. It was an opaque white color and smelled quite pleasant, similar to a bar of soap. It did make me sneeze a little bit which threw me off, but I decided to try it anyway. The formula is also safe to use without any gloves which is a big plus for me! Yet, because of the sketchy reviews I decided to do a test section instead of slathering it all over my hair. The test section came out looser and felt really smooth. I liked the results and after a while it reverted. I was still wary of trying this on my new growth, so I just applied it onto my relaxed ends and my test section again. My ends came out so smooth and straight and when I washed it out they were much more well behaved. My test section looked a little bit looser but after a while it snapped back and looked relatively normal. The hair felt very smooth, however, and straightened out very easily just from tension. It felt like the hair was relaxed. Something just didn’t feel right. I decided to try it out once more on my test section. This is what sealed the deal for me. At this point my hair did not curl back up to normal. Instead, it is just a limp relaxed curl. With a little cajoling I can make it curl up a bit more but it is nowhere near normal. I decided to wait a while to see if it would last for 8-12 weeks but it did not not curl back up until a little over 4 months. It is still not 100% back to normal, sadly. It is a good thing this section was small and can easily be hidden. I am so glad I did not use this all over my head. This also shows why it is important to do a test section when every using a new straightening product! 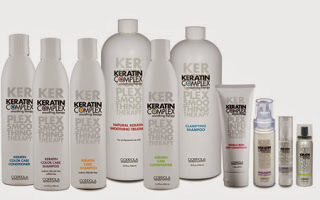 Smoothing and keratin treatment formulas vary in ingredients and composition. Because of this, some can last a week while others can be permanent. 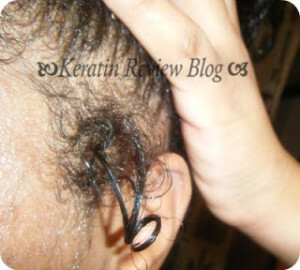 This undesired curl loosening was also a “cumulative result.” This means that because the hair was previously treated, the effects are greater with the following treatments. I tend to avoid these kinds of treatments. In conclusion, I would recommend this product it you are seeking drastic curl reduction. 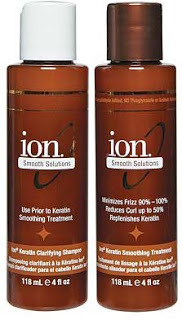 The initial results are quite dramatic with extreme shine, curl reduction and smoothness. 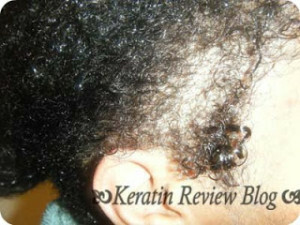 If you would rather to keep your curls, stay far away from this stuff! Has anyone else tried this product or this brand? What did you think of it?